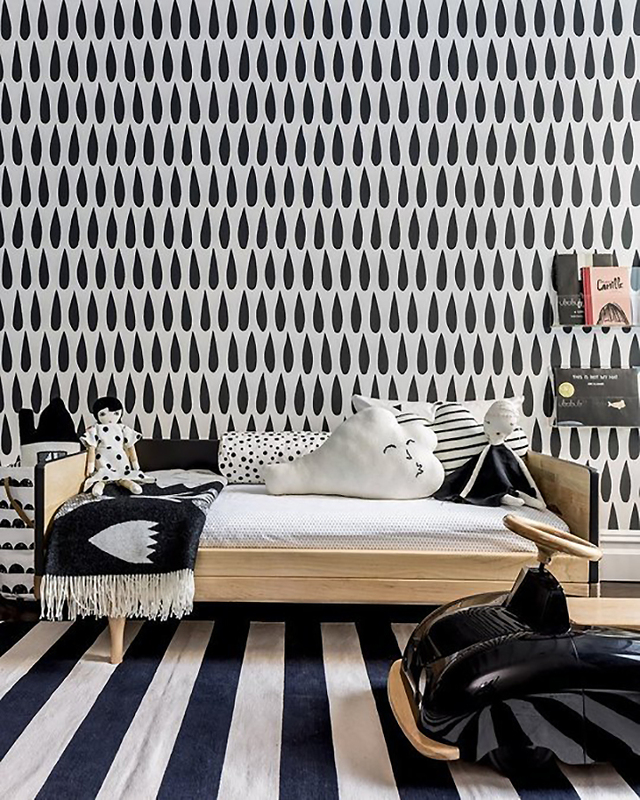 Wallpaper in Kids’ Rooms: 12 Amazing Examples! You guys know how much I love interior design but I think of all the rooms in the house, my most favourite rooms to pin, plan and design have to be Nurseries and Kid’s Spaces. There’s so much potential to have fun in there, and while adults might be able to override their wants in favor of what looks better, kids’ opinions are unadulterated and 100% honest in what will and won’t fly with them. 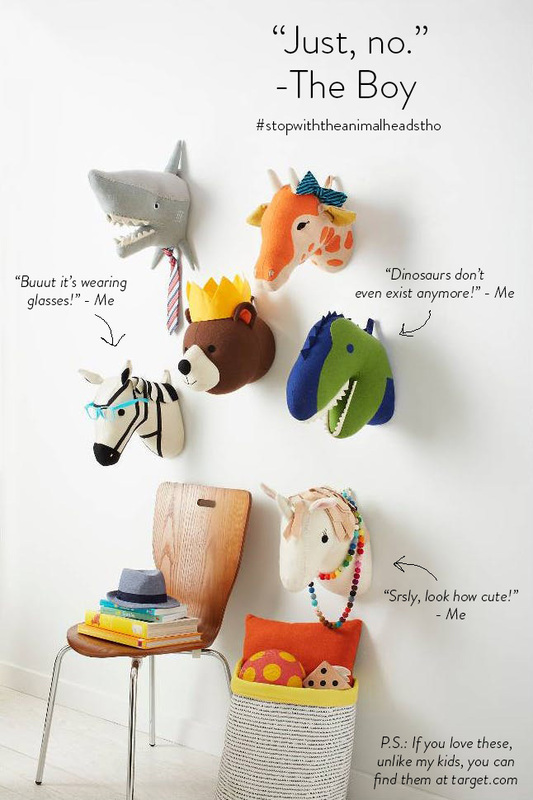 For e.g., I love stuffed animal heads on the walls in kids’ rooms. I think it’s such a cute look and I’m forever imagining, oh, a unicorn for her and maybe a zebra for him! How cute! Meanwhile, the Boy was very upfront when I asked him what he thought: “No. I’m going to be scared at night.” Ummmm, because there’s a decapitated animal head on your wall? Psssh! What are you, a baby?? SAID NO ONE EVER. Vetoed. Wah wahhh. Sorry, cute stuffed animal heads! I have quickly learned that having two opinionated children is partly my fault for being so opinionated myself, but also something to celebrate and consider when planning their room. One thing we’ve settled on for sure, however, is we need colour and we need pattern. This means I have to shelve my plans for a monochromatic space and explore colourful Scandinavian vibes this time around instead. Luckily, their current room is quite large and has lots of potential. After seeing these gorgeous rooms, I’ve seriously been debating adding wallpaper to their new space. I think it could be the perfect pop of colour for them and grown-up appeal for me. I’d love to hear what you think about wallpaper in kids’ rooms. Is it something you would do? Dark blue, gilded and sophisticated. Love! Via Amy Sklar Design on Decorpad. 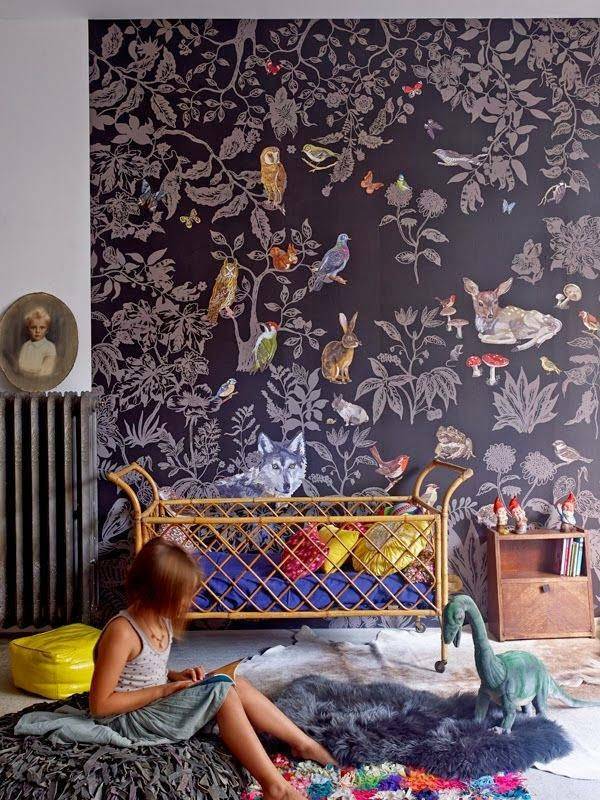 This gorgeous wallpaper is ‘Foret noire’ by Nathalie Lété. Talk about showstopping! Via The Boo & The Boy. I love the playfulness of the wallpaper here. 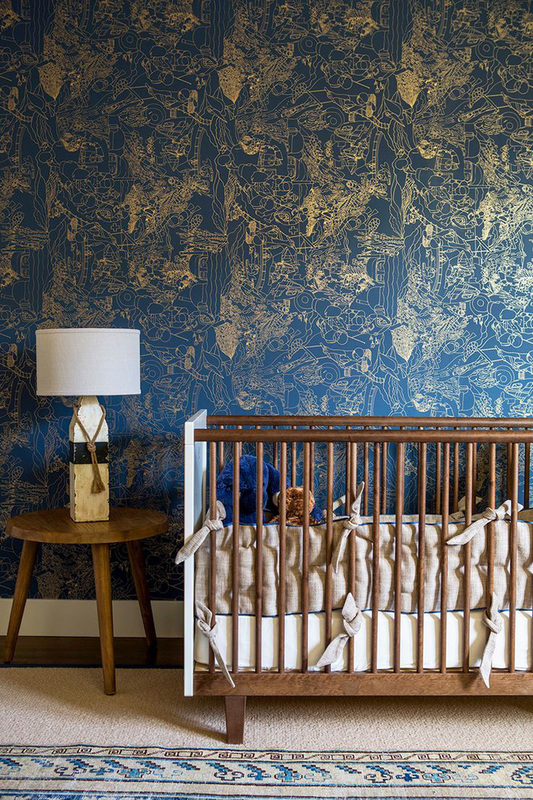 It’s definitely not something I would have chosen but I think its a great example of how a traditional wallpaper can be right at home in a kids’ room. Via Niinan Unelmia. This room is the epitome of monochromatic Scandinavian style, put together by Sissy + Marley. Those stars are seriously inspiring me! Via Project Nursery. 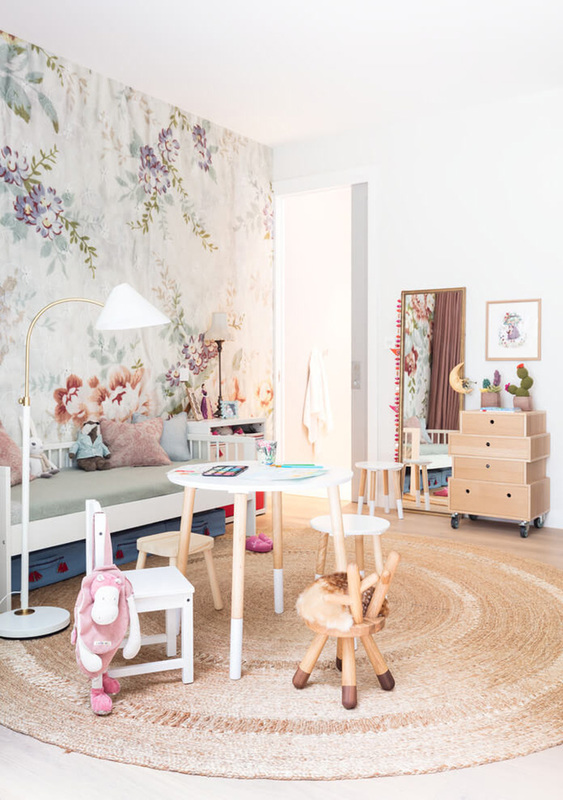 Another example of monochromatic Scandinavian style in this little girl’s room also by Sissy + Marley, who worked on Sebastian’s room, in the image above. Via Apartment Therapy. The graphic fishbone wallpaper in green and white is a great contrast to the cobalt blue and monochrome bedding and artwork in this room. You’d think it would look busy but it really just looks like so much fun! Via Little Peanut Mag. 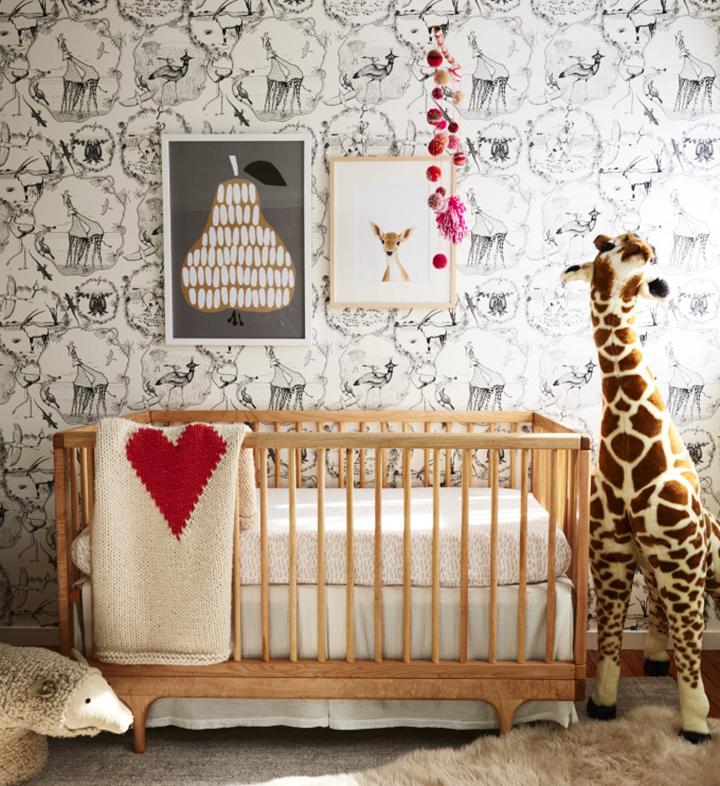 The whimsical wallpaper, warm wood tones and textures make this room so charming and a lovely nursery for any babe, don’t you think? Via A Cup of Jo. This room is so wonderfully bright and cheerful! I love the patchwork wallpaper – also, that yellow armoire. You really don’t need much else by way of decor when you’ve got two statement pieces like those! Via Apartment Therapy. 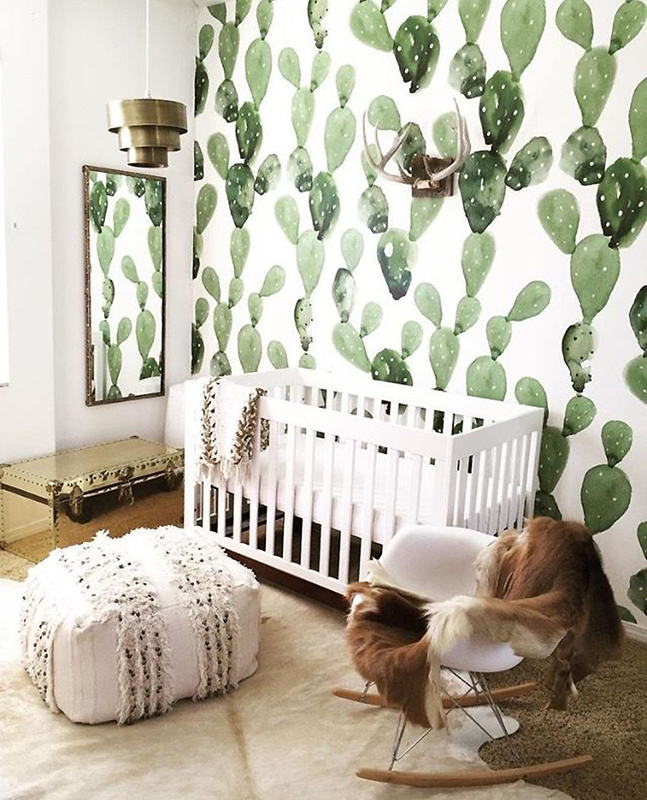 I’m seriously obsessed with this cactus print wallpaper! 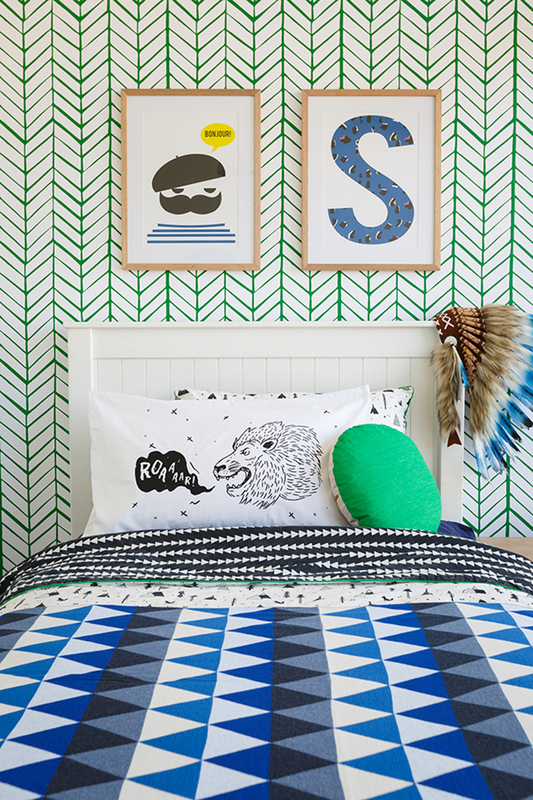 It’s so California and a great example of how good wallpaper in kids’ rooms can look! Via Anewalldecor on Domino. 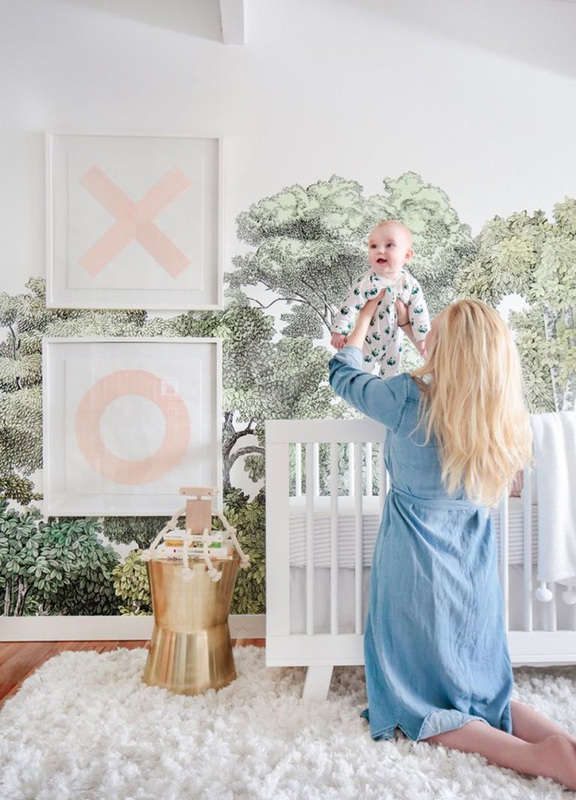 This was the nursery Emily Henderson designed for her baby girl. That wallpaper is so whimsical and wonderful, isn’t it? Via Style by Emily Henderson. I stumbled across this delightful gem during one of my Pinterest exploration hours, and I absolutely love everything this designer creates! 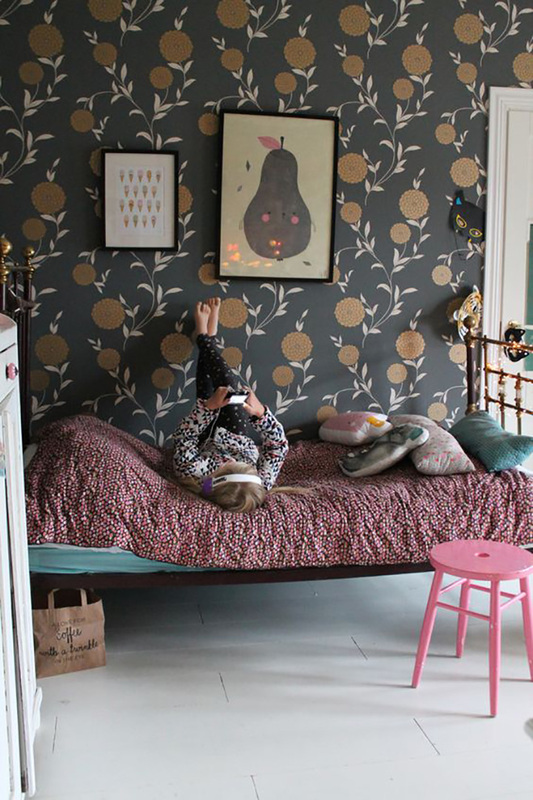 Example: this absolutely charming room for Lola with its neutral floral wallpaper. Goes to show neutrals are not boring and can definitely be age-appropriate! (I’m also so jealous of that amazing marble fireplace but that’s another story haha.) Via Room to Bloom. 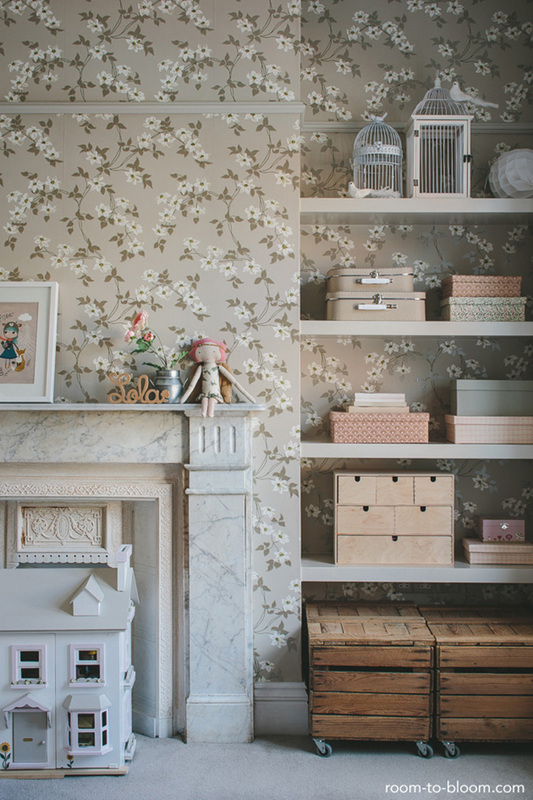 And lastly, look at this wonderful playroom with its floral wallpaper feature wall. The best part is how easily this can transition into a grown-up space when it’s little inhabitants have outgrown this room. Swap the daybed for a queen bed, change out the art work, take away the pint sized furniture and add a dresser- voila! its a perfectly grown up guest room, for example. Via Home Adore. So what do you think? I’m definitely leaning more towards the look than against it. With so many kinds of removable wallpapers, it’s taken the intimidation factor out of the whole application process too. I’d love it if you would leave me a comment below and tell me what you think about wallpaper in kids’ rooms! Love the yellow one you posted up there. I’m with the kids … animal heads (even cute ones) sticking out of walls … creeeepy! Hi Angie! I’m so sorry I didn’t see your comment until just now! So you want to apply a plain removable wallpaper over the existing floral wallpaper? If it’s removable, is there a reason why it has to be plain? If you prefer to email me instead, please do so. Apologies again for the confusion! I definitely like animal heads and removable wallpaper butter I can totally understand why a kid may find it creepy. Right? I get it too! Plus, they’re my kids so probably scaring them in their bedrooms at night isn’t a good plan anyway haha.